ORUG Meeting Sept.29 Meet the Author! Please join us at the next Ontario Revit User's Group meeting September 29th. 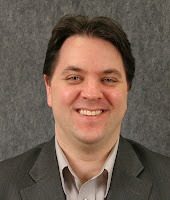 Come and meet James Vandezande, a co-author of the top selling 'Mastering Autodesk Revit Architecture 2011'. James will be talking about his varied experiences with Revit and other BIM software in 'My Journey with BIM'. James is a registered architect and a senior associate at HOK in New York City, where he is a member of the firm-wide BIM leadership and is managing their buildingSMART initiatives. He previously spent ten years as a digital design manager at SOM. In this capacity, he pioneered the implementation of BIM on such projects as One World Trade Center, a.k.a. Freedom Tower. James has been using Revit® since version 3.1 and has lectured at many industry events, including Autodesk University, VisMasters Conference, CMAA BIM Conference, McGraw_Hill Construction, and the AIANYS Convention. He is the co-founder and president of the NYC Revit Users Group and is an adjunct lecturing professor at NYU. 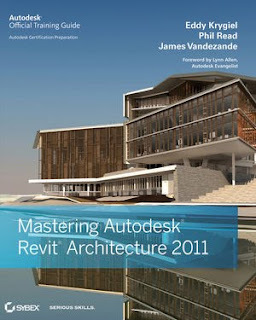 James is also a co-author of Mastering Autodesk Revit Architecture 2011. For full information and registration please click here.